It's been pointed out here many times that Glenn Beck complains about other people or media organizations for doing exactly what he does. That, of course, is hypocrisy, a character flaw that his followers either ignore, dismiss or cannot detect. He demonstrated blatant hypocrisy again this week when he pointed his finger at MSNBC for editing of the video tape of Neil Heslin, father of a victim in the Sandy Hook elementary school massacre, testifying before Connecticut legislative hearing. The original segment from the Martin Bashir Show will be offered, along with Beck's reaction from his website, evidence of Beck's own selective editing of an Obama presser and the update from MSNBC. Glenn certainly thought Bashir has selectively edited the tape to serve his story. In the clip that aired on Bashir’s program, the audience was shown to be maliciously yelling out pro-second amendment remarks as he is talking about why people need to have assault weapons. But in reality, the remarks came when he asked the audience a direct question. Only after this comment did some in the audience vocalize their support of the Second Amendment. “The Second Amendment shall not be infringed,” one man yelled. "One man yelled." That's not heckling? But worse, "They haven’t said anything. Martin Bashir, liar.” It's rather evident that gun control opponents DID say something, so who is the liar here? An honest debate can be had about whether Heslin was heckled, but not over the fact that Glenn Beck selectively edited tape when he was on Fox. The best proof of this can be found at News Hounds in a piece from July 4, 2010 entitled "Glenn Beck's Populist Slight of Hand" by Democritus. That same deceitful edit was covered by a Mormon blogging about Mr. Beck in a piece entitled "Context 2," and here on this blog. What MSNBC did was wrong. According to the Huffington Post, "MSNBC spokeswoman Lauren Skowronski did not immediately address questions about why MSNBC made the changes or whether criticism that it was misleading is valid." Whether someone will be held responsible at MSNBC or not remains unclear, but no one ever held Beck or anyone at Fox responsible for his deceitful editing of Obama's presser in Canada in 2010. At least MSNBC responded to the apparent lapse in journalistic standards. At Fox in 2010? Not so much. 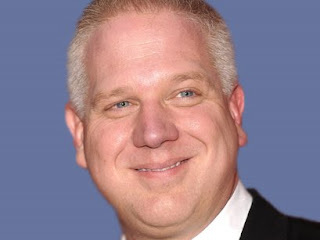 Continue to count on Glenn Beck for anti-progressive, deceitful propaganda with no journalistic, or any other kind of, standards what-so-ever.